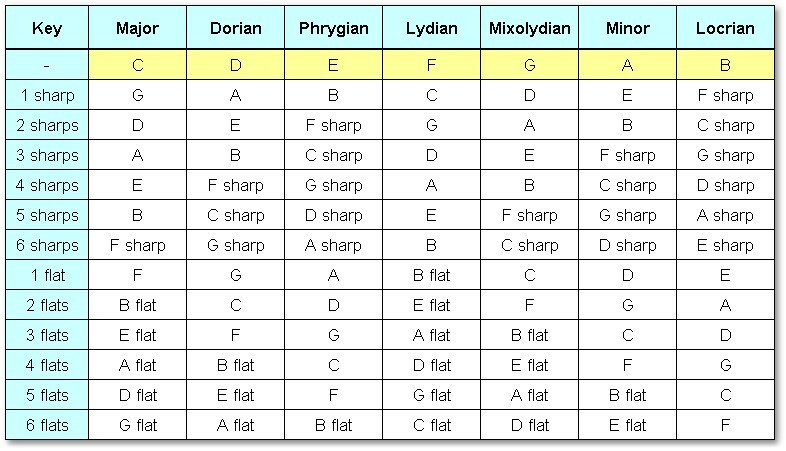 Harmonic minor scale degrees Ia. 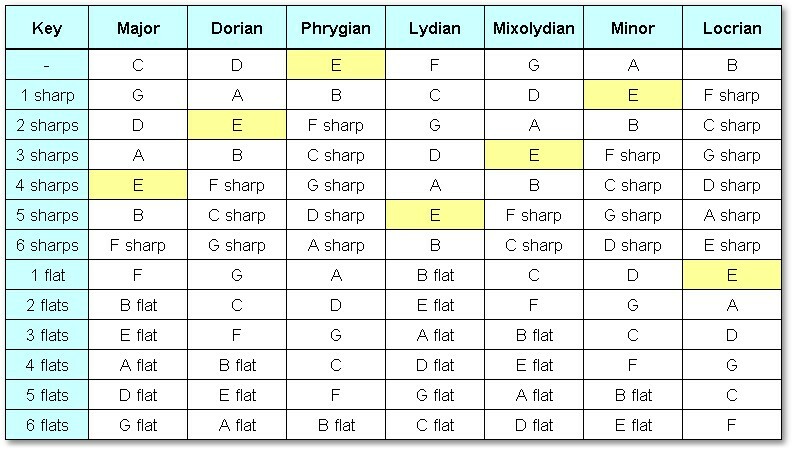 The main thing to consider here is how the harmonic minor scale can be played on just one string. I have highlighted the basic scales starting with an E note. So let's take a look at what the one-string scales played on the E1 string look like! The notes of the basic tonality are indicated with red. Question: Can we actually use these altered scales also on other strings? Let's take a look at our table and indicate the row with the A minor in it. Why is there only six scale degrees instead of seven? The answer is very simple: A standard guitar has only six strings.